Choosing your wedding color is one of the important tasks as your wedding color will represent you in every possible way. From your wedding invites to your table décor, the wedding color scheme will be in every detail. Picking the perfect lush flowers to magnificent décor elements, everything will be depending upon the color scheme of your choice. Because you obviously want everything to be in harmony with your color scheme so that not a single décor element disrupts the blending of the décor elements. So the idea is to choose the color wisely, leave no stone untouched when it comes to incorporating the wedding color scheme. 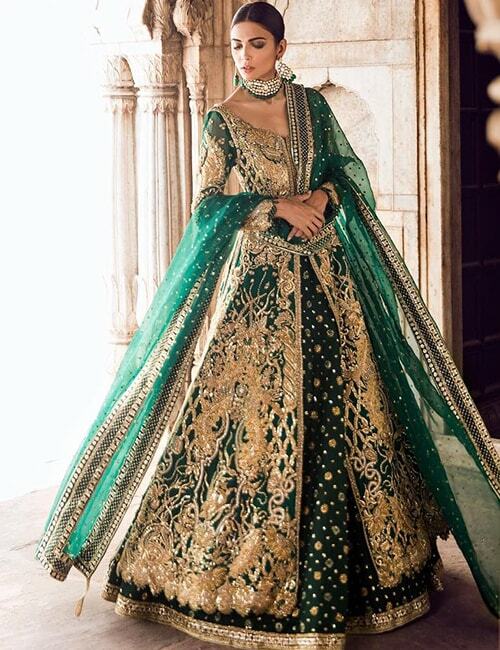 The green color is very much trending among the modern brides as it represents rebirth, growth and harmony. We surely recommend you to go for the green wedding color scheme if you want to set up the tranquil vibes for your nuptial knot. Here we have rounded up some really cool ideas that even nineteen letter word “supercalifragilisticexpialidocious” does not justify the beauty of the color. Take a look! The year 2019 breaks the traditional shackles of wearing the red bridal dress on your main wedding day. 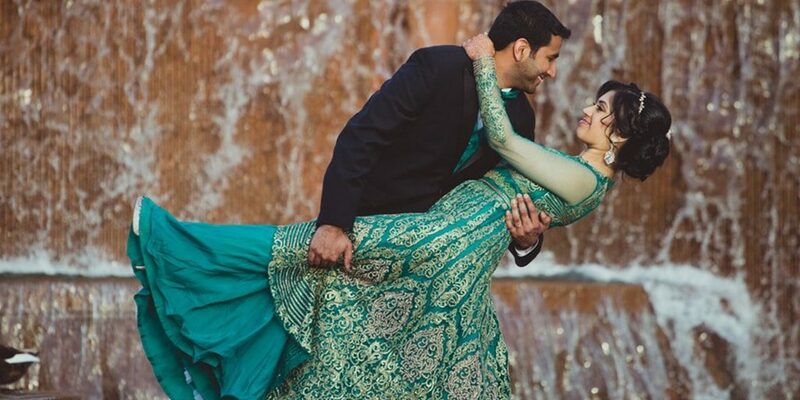 Modern brides are picking their dream dress irrespective of the color. 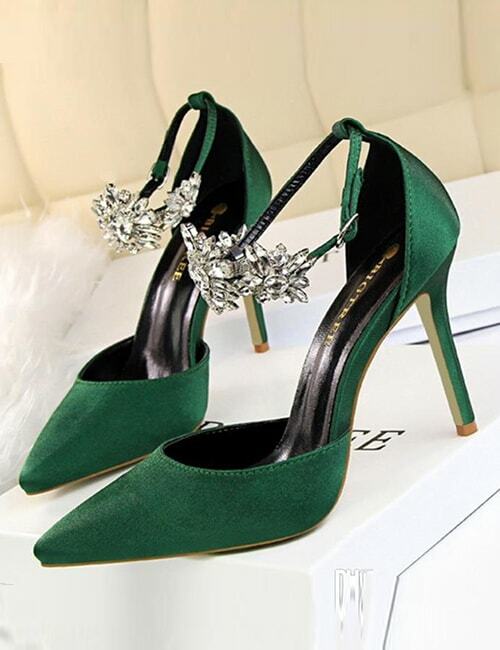 Bridal fashion designers are coming up with beautiful collections introducing green bridal dresses and accessories. We are in love with them because each and every collection has to offer something unique. Tena Durrani’s latest collection has quite a few green ensembles with gold work that you should consider for your nuptials. 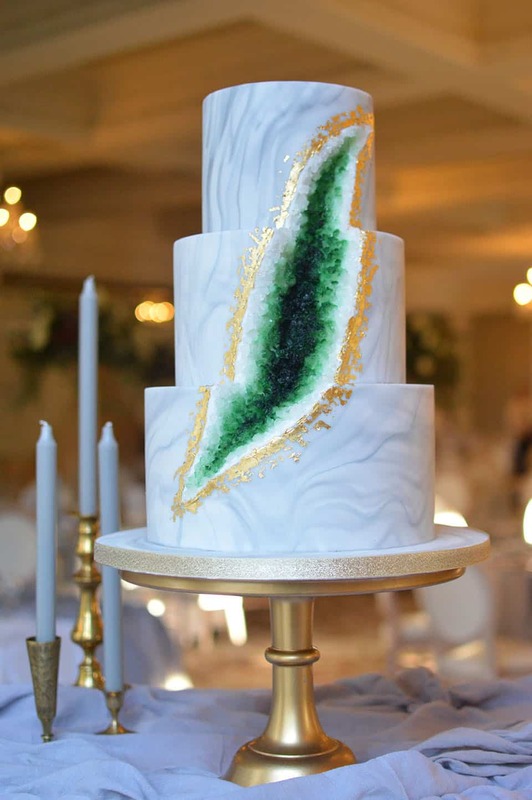 Emerald and Gold geode wedding cake is a new trend that every bride seems very interested in. 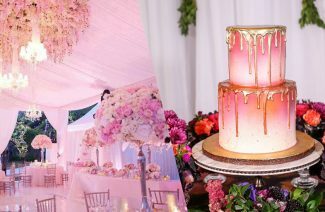 It is not wrong to say that the wedding cake has taken the shape of an art form because bakers are greatly investing in the time and efforts on transforming each cake into a masterpiece. 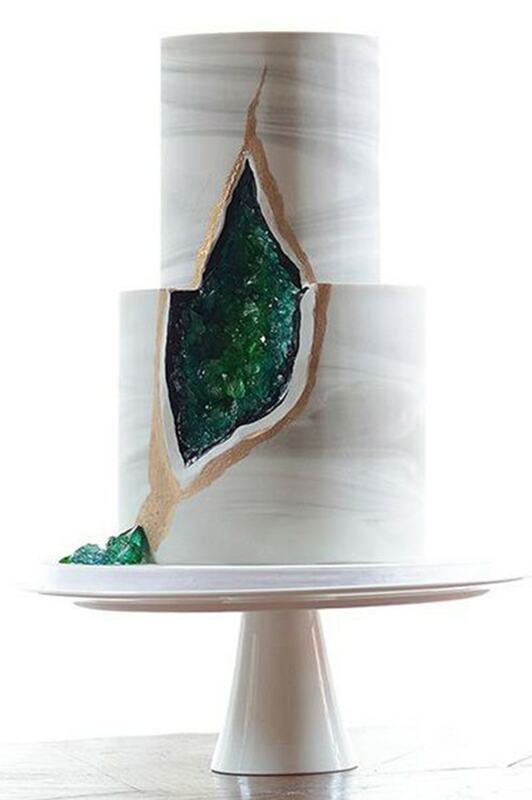 Geode Cakes are gaining popularity because of their natural crystal look. Emerald and gold make a very genuine color combination to be considered for your green-themed wedding. 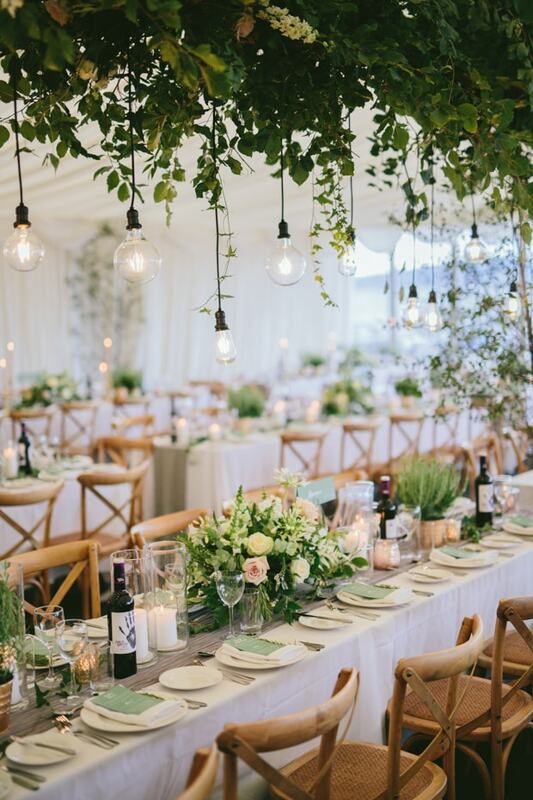 When it comes to incorporating green color in to your wedding, you don’t need to think any further than an open-air outdoor wedding ceremony. 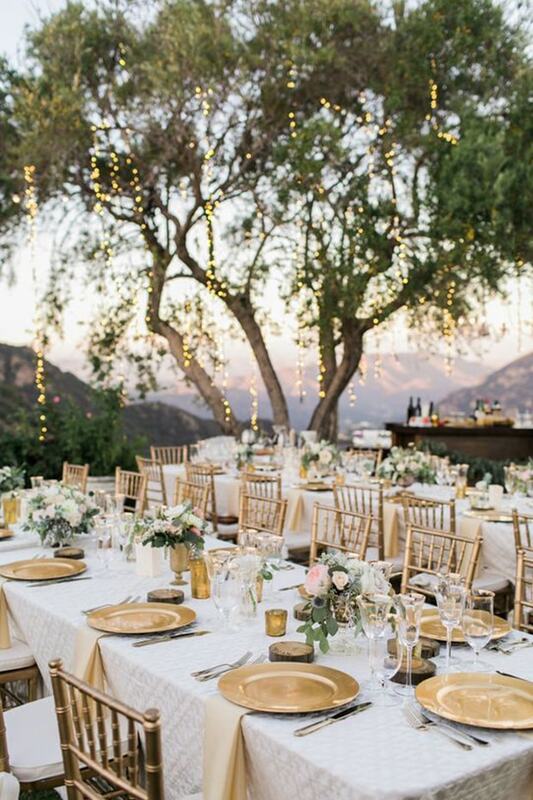 Nothing is worth considering than a ceremony surrounded by greenery all around you and your guests. 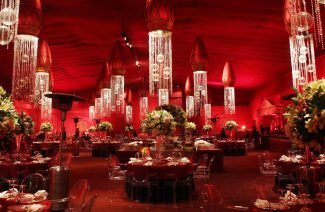 The greenery of your venue will add a beautiful touch of calmness to your festivity that you will adore. You can always play with your natural setting by introducing fairy lights, chandeliers and funky color wedding table décor. The green color palette offers a wide range of hues from which you can choose to complement with your overall décor. Let us tell you a secret; green color will never fail you when it comes to décor. The palette extends to versatile colors that you can pick for your décor. You can use green with different color combinations. 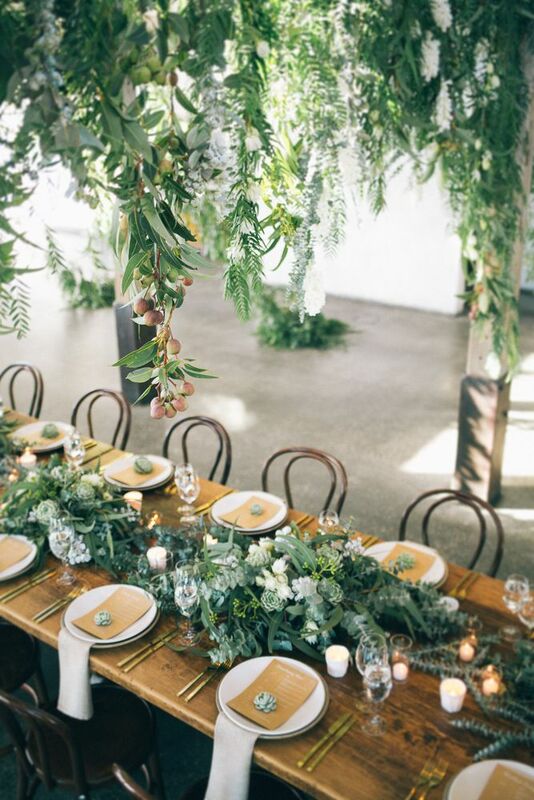 White and green go perfectly well for the drapes, sage is an excellent pick for the table cloth with lush forest green for wedding centerpieces. Ferns and vines are splendid for hangings. You can also add a sharp color to your décors like red or striking pink. Huge floral pieces suspended from the ceiling will elevate your entire décor. 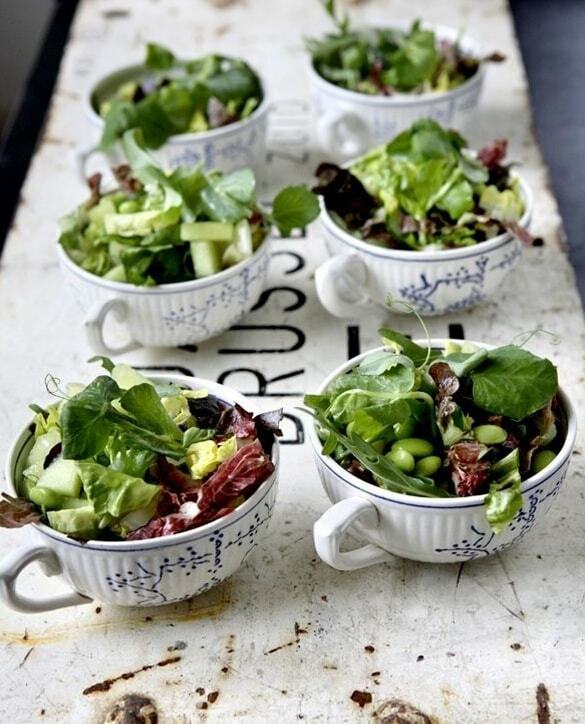 Fresh and leafy salad bowls are all you need to incorporate the color. You can even put it on the tables as centerpieces. Consider having a juice bar for your guests to bring out the fresh vibes on your venue. 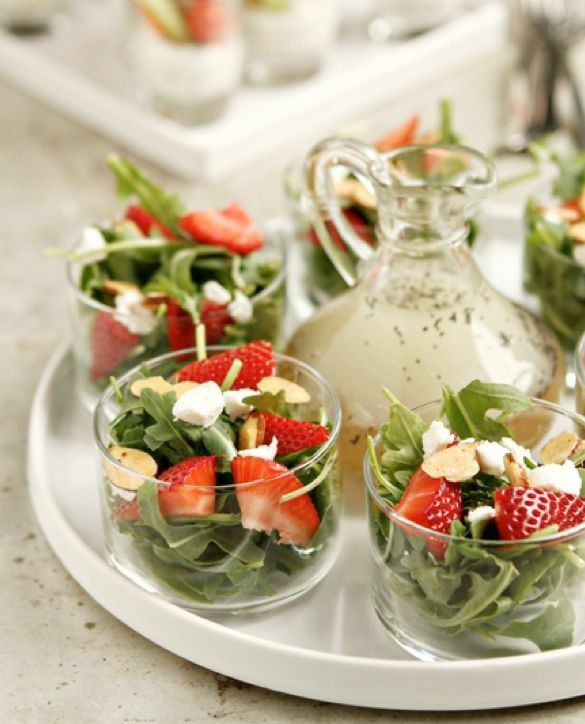 Talk to your caterer about your idea of the green-themed wedding so that he or she will include those ideas in your wedding. These are some of the ways to add the refreshing effect of green color in your wedding. 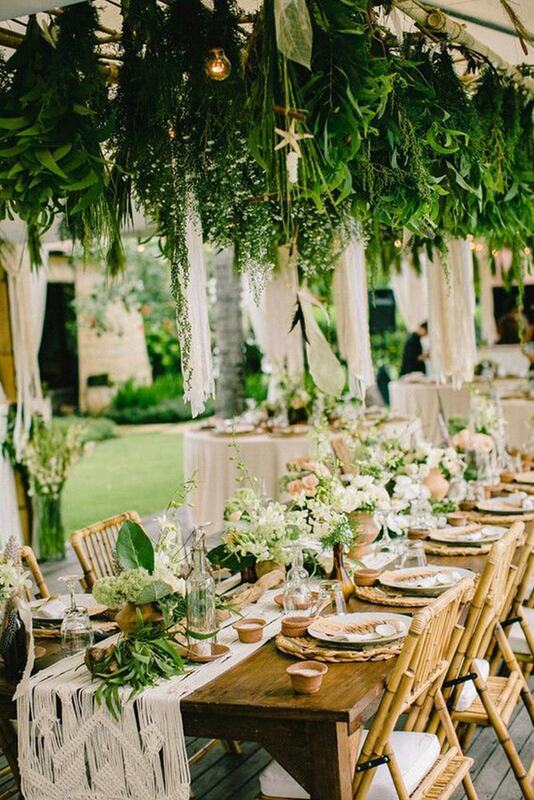 5 Tasteful Ways To Add The Liveliness Of 'Green' In Your Wedding decor. These are some of the ways to add the refreshing effects of green color.